Final Fantasy XIV Online players will soon have fun with the new Final Fantasy XIV Online GO app, announced yesterday April 1st. "We want to give a sense of freedom," says Square Enix vice president of innovation, "We want to make sure that more than 10 million players can gather resources where and when they want, without the restrictions of their PCs or their console. 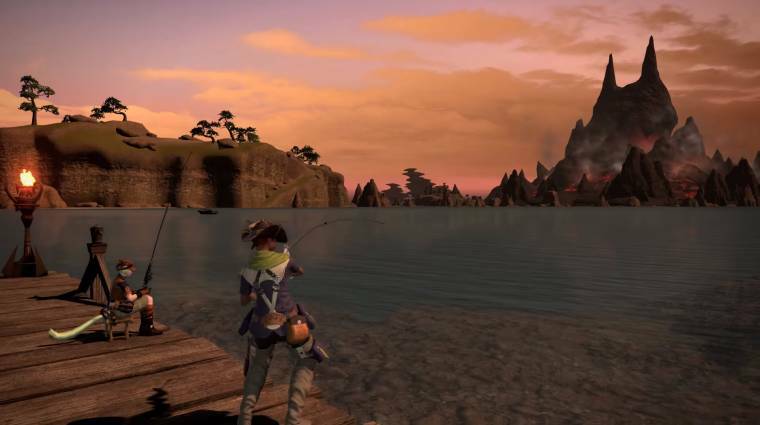 Final Fantasy XIV Online GO creates this freedom by connecting the physical to the digital world, and at the same time promotes social interactions between members of our fantastic community ". In addition to the app, a unique accessory will be available for use in conjunction with players' mobile phones, which is the Final Fantasy XIV Online GO Harvesting Stick. The Harvesting Stick converts the player's mobile phone into a pickaxe's ax, a botanist's ax or a fishing rod, for use in the real world to gather resources as you would within the game. The Harvesting Stick also increases the success rate of 100% collection. Speaking of Final Fantasy XIV Online GO and the Harvesting Stick, Adalberta Gardner, chief designer of Amajina Apps, said: "This is the most immersive experience of an MMORPG ever created so far for players of any level and an essential accessory for those who love collecting ". For more information on Final Fantasy XIV Online GO and see the app in action, we recommend watching the video at the opening of news or visit this page. By the way, in case you did not understand it, it's an April Fool! Rather elaborate, no doubt about it!